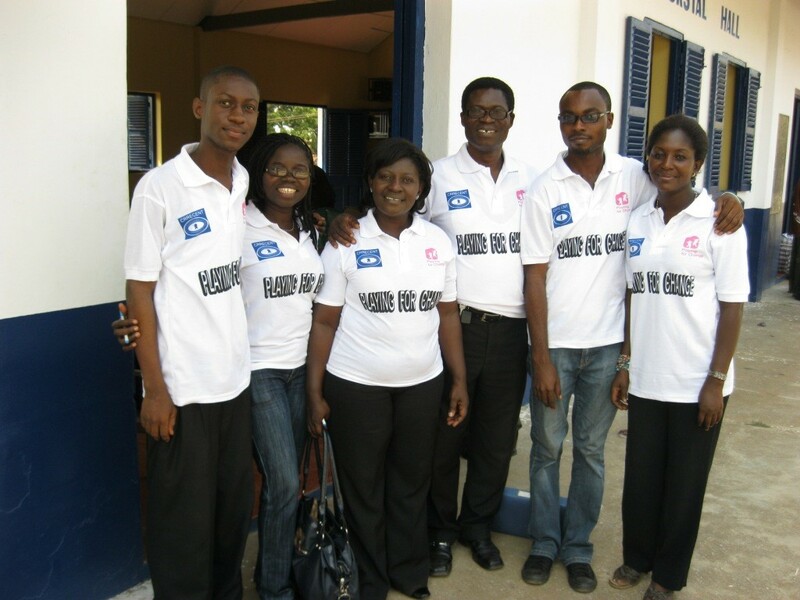 From left to Right: Andrew Afari (Accounts); Blandina Amo-Kyere (Administration); Susan Sabaa (Executive Director -Operations); Emmanuel Sabaa (Executive Director – Chief Executive); Emmanuel Kangah (Projects); Augustina Asamoah (Projects). The centre has a team of personnel of varying backgrounds and expertise in carrying out Programme implementation, Research, Studies, Monitoring and Evaluations of various designs in sectors such as Education, Health, Youth Employment and Community Development using relevant participatory tools. Emmanuel holds a B. Com degree and a MBA from the University of CapeCoast, Ghana. Prior to CRRECENT, he worked with Kufour and Associates as an accountant from 1987 to 2000. He also worked with Campus Crusade for Christ International as a financial manager until 2007 when he resigned to work with CRRECENT on full time. Emmanuel is the CEO of CRRECENT. His work with CRRECENT began in 2004 when the organization was regstered, but it was on part-time. His full time work began in 2007. He coordinates work in both projects and research departments of the organization. In addtion, he manages the finance department. Susan holds a B.A in English and French from the University of CapeCoast – Ghana, and a M.A in Child and Youth Care and Development from the University of Victoria, Canada. 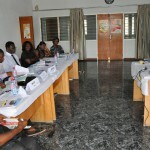 Prior to CRRECENT, she worked as the national coordinator of the Ghana NGO Coalition on the Rights of the Child (GNCRC). 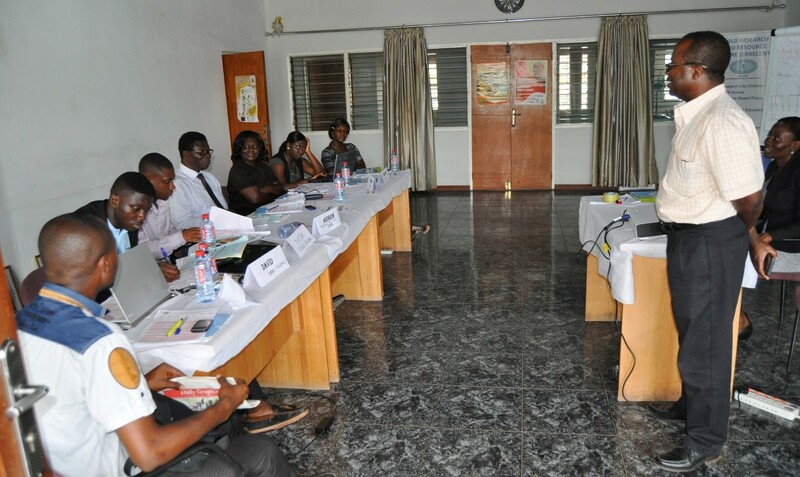 She coordinated the work of 120 NGOs working with children across Ghana for ten years until she resigned in 2008. Susan is the Executive Director – Operations, CRRECENT. Her work with CRRECENT began in 2004 when the organizaton was registered, but it was on part-time. Her full time work began in 2008. She mostly helps coordinate work in the research department. Additionally, Susan is a consultant. Asei graduated from the University of Ghana in May 2011 with a B.A in English and Political Science. His work with CRRECENT began in March 2011 as a research assistant for the USAID sponsored Transition and Persistence (TAP) project on contract. In July 2011, he was employed as a project officer with CRRECENT on the Girl Power Project and has worked in that capacity till present. Asei’s focus is on empowering girls and young women in communities to demand their rights and also take on leadership roles, educates community groups and other stakeholders on children’s rights, gender equality, domestic violence, education and other relevant issues that aid in community development and empowerment of women and children. David holds a B.A in Sociology and Social Work from Kwame Nkrumah University of Science and Technology and a certificate in Data Management and Analysis from Institute of Statistical, Social and Economic Research (ISSER), University of Ghana, Legon, Ghana. In 2012, David began his work with CRRECENT as a project officer planning and organising research activities within the research department. He designs questionnaires for data collection, trains research assistants for research activities and supports with data entry and analysis on various research topics. Christie-pearl graduated from the Kwame Nkrumah University of Science and Technology in 2012 with a LLB. Prior to CRRECENT, she worked as an intern with Apex Law Consult, and then as a paralegal with Kwame Ghana and Associates. She has been working with CRRECENT since October 2014 as a project officer. Pearl is on the child rights desk of CRRECENT and also provides support to the Juvenile Justice project. Augustina graduated from the University of Ghana in May 2011 with a B.A in Management and Sociology. Prior to CRRECENT, Augutstina worked with World Vision International as an Administrative Officer for nine (9) years. She has worked with CRRECENT since August 2011 as a Project Officer on the Girl Power Project. Augustina’s focus is on empowering girls and young women in communities to demand their rights and also take on leadership roles. She educates community groups and other stakeholders on children’s rights, gender equality, domestic violence, education and other relevant issues that aid in community development and empowerment of women and children. Andrew graduated from the Kwame Nkrumah University of Science and Technology with a B.A (Hons) in Sociology and Social Work. Prior to CRRECENT, Andrew worked with COCOBOD for his national service. He has been working with CRRECENT since 2011 as a project officer on the Juvenile Justice project. His focus is working with ex-inmates (juvenile offenders) for successful re-integration into society. In addition, he suports the accounts department in the management of accounts and other financials.